Dr. Doni explores the relationship between digestion and autoimmune diseases such as Lupus, Celiac, and Rheumatoid Arthritis, and offers advice on addressing autoimmunity. Type 1 Diabetes (which affects the pancreas). All of these are auto-immune conditions where the immune system, which is designed to protect us from foreign bodies, starts trying to protect us from our own body. I have alluded to this connection between Leaky Gut and autoimmunity in previous articles, but today I want to look more closely at it and help you understand how it is possible. I mean, it’s not usually what we would think first—that our digestion is related to our immune system. Let’s start by understanding autoimmunity. What Do We Mean By Auto-Immunity? Our immune system is designed to protect us from things—viruses, parasites, bacteria—that could potentially harm our bodies. White blood cells, antibodies, and cytokines work together to protect you from anything your body perceives as “foreign.” Not only that, but it also has a “memory” that allows it to make antibodies against things it has protected you from in the past. These antibodies are therefore generally a good thing, protecting us by attacking anything that could make us sick. However, they can get confused or over-sensitive and start attacking the wrong thing or over-reacting to something in your environment or body. Allergies, for example, occur when the immune system has become over-sensitive to certain substances such as pollen, dust, mold, foods, etc. When the allergen is present in your environment or your body (because you’ve eaten it or breathed it it) what are known as IgE antibodies leap into action by triggering a release of histamine that results in all the symptoms we associate with allergies, such as runny nose, sneezing, itchy eyes, and even throat swelling or shortness of breath in the case of severe allergies or asthma. Delayed food sensitivities occur when the immune system makes IgG and/or IgA antibodies to attack specific foods we have become over-sensitive to. These kinds of antibodies don’t tend to cause immediate allergic symptoms as with IgE. Instead, they can result in more long-term and vague symptoms like joint pain, headaches, stomach aches, and a tendency toward more allergies. Lupus – the immune system attacks the blood vessels in the body causing them to become inflamed and painful. Rheumatoid arthritis – the immune system attacks the joints, leading to joint pain and deformity. Graves and Hashimotos thyroiditis – the immune system attacks the thyroid gland causing it to under or over produce thyroid hormones. Celiac disease – in response to gluten, the immune system attacks the intestinal lining, and more specifically an enzyme called transglutaminase that normally helps keep the intestinal lining healthy; with Celiac disease the intestinal lining becomes severely damaged. Type 1 Diabetes – the immune system attacks the pancreas, decreasing the production of insulin and disrupting the ability to regulate blood sugar levels. In very simple terms, the way the immune system works is that the white blood cells protect you from viruses and bacteria inside your cells (this is referred to as Th1) while, at the same time, another mechanism (Th2) is managing allergies and infections in your blood. These two mechanisms work in a sort of teeter-totter motion: as one increases, the other decreases and vice versa.2 Both responses can produce auto-antibodies, although the majority of auto-immune conditions involve Th1 and it is your genetics that influence whether your immune system is going to tend toward more Th1 or Th2 type responses. Auto-immunity starts when you put your genetic make-up and a stress in the form of Leaky Gut and inflammation together. I have written a whole series of articles on genetic mutations and health, which I invite you to read. How Is Auto-Immunity Linked To Leaky Gut? The immune system in the gut is not located within the intestines where your food is. Instead, it lies right under the intestinal lining in what is called the gut-associated lymphoid tissue. So it is only when undigested food leaks through the intestinal lining (Leaky Gut) that your immune system notices it and identifies it as something foreign. This triggers the inflammatory cascade that characterizes Leaky Gut as we discussed in part 1 of this series. Click here if you want to find out more. So, Leaky Gut allows food to leak through the lining of the intestine to where the immune system resides. The immune system identifies these food particles as foreign substances and launches an immune response against the food proteins. In the case of auto-immunity, the immune system goes one step further and starts to attack proteins that look similar to the food particles. That is why, in Celiac disease, the immune system not only attacks gluten but it also starts to attack the enzyme in the intestinal lining that is trying to repair the intestines. Now that you have a sense of how Leaky Gut makes auto-immunity more likely, let’s use that information to make a plan for how to address it. Conventional treatments have been developed to address auto-immunity (thank goodness), but they have their shortcomings. Naturopathic medicine offers a different view on how to get to the underlying cause and to then reverse or prevent auto-immunity by giving the body what it needs to turn off the auto-immune process. I’m going to discuss the top ways to put the brakes on auto-immunity, but first let’s look at the conventional approach. Most conventional practitioners believe that auto-immunity, once triggered, is irreversible. That has been the standard belief for decades. Instead of working to reverse the issue, the conventional medical approach focuses on using medications, such as steroids and chemotherapy drugs, to suppress the immune system. The idea is that, by inhibiting the immune system, you will also stop the antibodies that are attacking the body (the auto-antibodies). However, this comes with many side effects as the treatment doesn’t just inhibit the antibodies we don’t want but the ones we do as well. This compromises the health of our immune system leaving us more prone to illness and nutrient deficiencies. In some cases, the conventional approach is necessary, at least temporarily, in order to alleviate severe symptoms. Imbalances in the microbiome (the healthy bacteria in your gut) as mentioned above, often as a result of the overuse of antibiotics, are also a well-established cause of Leaky Gut. A naturopathic approach must include finding out about the bacteria in your intestines and taking steps to get them back on track. I will write more about how we do that in a future article. I want to point out what you may have already noticed—the causes of auto-immunity are the same as the causes of Leaky Gut. It follows then that by healing Leaky Gut, you’ll also be decreasing the tendency toward auto-immunity. Two for one—I love it! I see the results of this approach in my practice every day. I see patients who came to see me six months ago with blood work showing auto-antibodies—a positive ANA, thyroid antibodies, or other conditions—and the changes are incredible. After implementing diet changes, Leaky Gut healing strategies, rebalancing their stress response and cortisol levels, and making sure they are getting adequate sleep, they now have test results that show a reduction in auto-antibodies—and they feel better for it. It is important to go about the process of healing auto-immunity very carefully as you don’t want to leave yourself vulnerable to the effects of auto-antibodies and in some cases it is necessary to use medications while also working on prevention and healing because the body takes time to heal and the immune system needs time to “reset.” This is why it is so important to work with a practitioner who can help you. I highly recommend seeking out a naturopathic doctor in your area, or if you prefer, you can meet with me by phone. Address your stress! Bring “stress remedies” in to your daily life, ensure adequate sleep, and minimize your exposure to stresses, both mental and physical. Download my ebook Stress Remedies (only 99 cents) for more information and advice. Don’t stop there, however. To truly address your stress, it is important to understand how your adrenal gland function has been affected by stress. To do that, you need to do check both your cortisol and adrenaline levels, as well as your neurotransmitter levels. To completely understand how your body has been affected by stress and how to develop a comprehensive plan to address it, get my original book, The Stress Remedy. Avoid gluten. Gluten is the food component most associated with autoimmunity. Learn more about gluten here. Optimize your healthy bacteria. Research shows us that the bacteria in our gut are a sort of master switch when it comes to turning on or off autoimmunity. When the bacteria are out of balance—as a result of antibiotics and stress—autoimmunity is more likely. Read more about how to do this here. Find out your food allergens and avoid them! The best way to do this is to do an IgG and IgA delayed food sensitivity panel. There are many versions of this test available, and I’ve reviewed them all. The panel I recommend after over 15 years of working with food sensitivities is the one I offer through my office. You can purchase it to complete yourself at home here or book a consultation with me that includes the test and a review of your results here. Heal Leaky Gut. If your intestinal lining is healthy, it won’t allow foods to stress your immune system, which allows your immune system to calm down and stop producing antibodies to attack what you eat and your own cells. Read how here. Consider avoiding grains all together. For many people, once Leaky Gut and auto-immunity exist, all grains (even gluten-free ones) can increase inflammation and perpetuate the issue. You can find an overview of the Autoimmune Protocol here, along with some handy charts here. Take herbs and nutrients that help decrease antibodies. For example, plant sterols help decrease auto-immunity in general and research shows that selenium decreases thyroid auto-antibodies.11 I will write more about the thyroid and Leaky Gut next week (you can subscribe to this blog to be sure you don’t miss it). 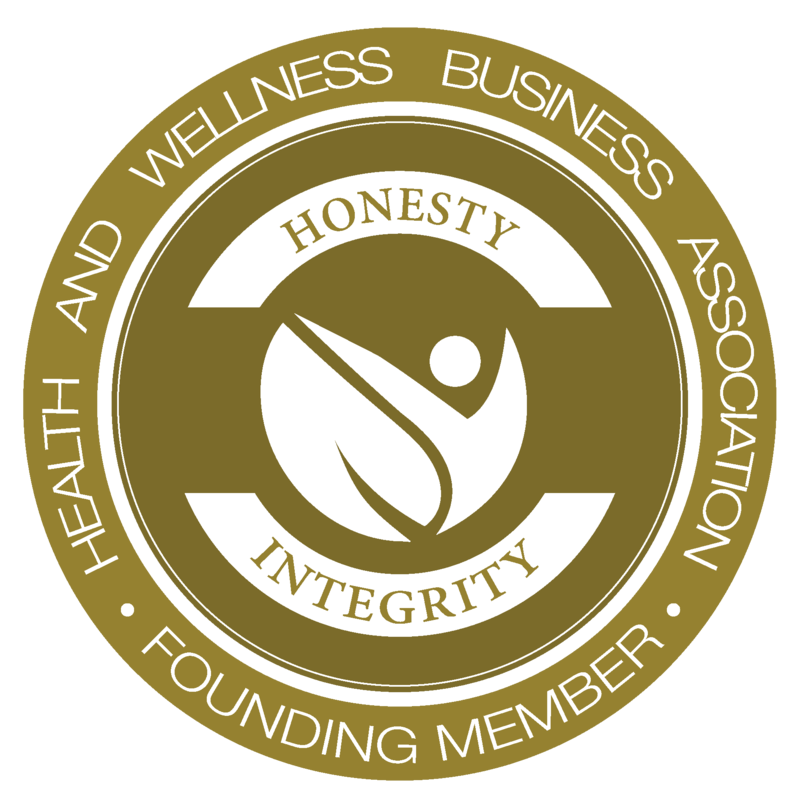 Again, you will be most successful at preventing and reversing auto-immunity by working with a specialist practitioner who can help you implement each of these steps in a way that works for your lifestyle and that is most effective for you. 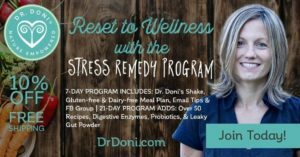 You could start with my Stress Remedy Programs (7-day or 21-day), which I designed to heal Leaky Gut by supporting you to avoid gluten and other common food allergens. Many people follow the these programs after receiving their IgG and IgA food sensitivity test results as way to make the transition easier as they eliminate the foods that are causing them problems. I have also created a Leaky Gut Program that includes consultations with me, as well as the IgG and IGA food panel I mentioned above. This would be a great way to start down the path of addressing your auto-immunity. Come back next week to find out about the relationship between leaky gut and the thyroid. In the meantime, if you have any comments or questions, please make use of the comments box below. Maddur MS, Vani J, Lacroix-Desmazes S, Kaveri S, Bayry J. Autoimmunity as a predisposition for infectious diseases. PLoS Pathog. 2010 Nov 4;6(11):e1001077. Romagnani S. T-cell subsets (Th1 versus Th2). Ann Allergy Asthma Immunol. 2000 Jul;85(1):9-18; quiz 18, 21. Kumar V, Raiadhyaksha M, & Wortsman J. Celiac disease-associated autoimmune endocrinopathies. Clin Diagn Lab Immunol. 2001;8(4):678–685. Bardell M, Elli L, De Matteis S, Floriani I, Torri V, & Piodi L. Autoimmune disorders in patients affected by celiac sprue and inflammatory bowel disease. Ann Med. 2009;41(2):139–143. Davis-Richardson AG1, Triplett EW. A model for the role of gut bacteria in the development of autoimmunity for type 1 diabetes. 2015 Jul;58(7):1386-93. Kosiewicz MM1, Zirnheld AL, Alard P. Gut microbiota, immunity, and disease: a complex relationship. Front Microbiol. 2011 Sep 5;2:180. Delévaux I1, Chamoux A, Aumaître O. Stress and auto-immunity. Rev Med Interne. 2013 Aug;34(8):487-92.
de Carvalho JF1, Pereira RM, Shoenfeld Y. The mosaic of autoimmunity: the role of environmental factors. Front Biosci (Elite Ed). 2009 Jun 1;1:501-9.
de Punder K1, Pruimboom L2. Stress induces endotoxemia and low-grade inflammation by increasing barrier permeability. Front Immunol. 2015 May 15;6:223. Gärtner R,Gasnier BC, Dietrich JW, Krebs B, Angstwurm MW. Selenium supplementation in patients with autoimmune thyroiditis decreases thyroid peroxidase antibodies concentrations. J Clin Endocrinol Metab. 2002 Apr;87(4):1687-91.